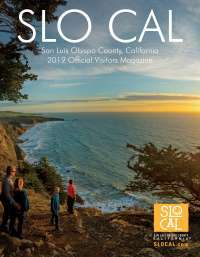 There’s something lurking in the neighborhoods across San Luis Obispo County. Feel the adrenaline rush as you seek the spirits who inhabit some of the Central Coast’s oldest and most historic sites. Whether you’re an avid ghost hunter or you’re just looking for a good scare, check out these San Luis Obispo County hot spots for supposed paranormal activity. Located seven miles north of Paso Robles, Mission San Miguel Arcángel is not just a California Mission but also the site of a murder. The Mission was sold to a man named William (or John) Reed in 1846. Word about town is that Mr. Reed had amassed a significant amount of gold that he would tell travelers was buried on the grounds. The Mission was attacked not once, but twice by travelers looking for the gold, none of which they ever found. Reed along with his family, servants and guests were all murdered during the second attack. 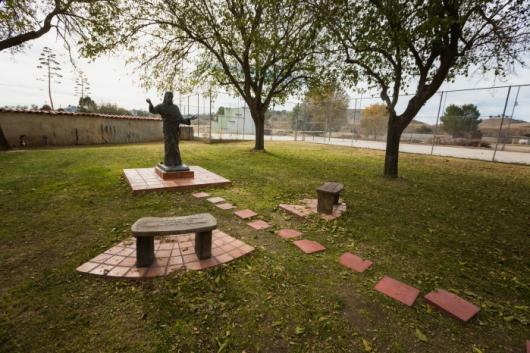 The Mission was returned to the Catholic Church in 1859 and some claim that Mr. Reed and Mrs. Reed have been known to show themselves on the grounds. Head out into the hills of Paso Robles’ west side and you’ll find Adelaida Cemetery. Legend has it that the ghost of Charlotte Sutton, young wife to a minister who committed suicide, leaves flowers on the grave of her child who died during a diphtheria epidemic. She reportedly visits her grave and that of her child’s between 10 p.m. and midnight every Friday. Just around the corner from the Adelaida Cemetery lies the Lincoln Adelaida Schoolhouse. It’s been said that after a school teacher learned of her fiance’s death in the nearby Mercury Mine, she hung herself from the rafters. Some have said they’ve seen her spirit still hanging from the rafters or sitting at a desk. A fire also took place at the Schoolhouse, killing several children inside. Many have heard the laughing or giggling of the school children who died in the fire. 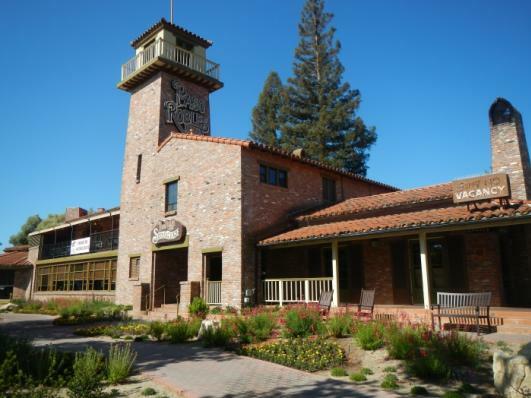 In 1940, the Paso Robles Inn suffered a major fire, burning most of the original hotel. The night clerk, J.H. Emsley was on shift the night of the fire and was the one to sound the alarm. However, the shock of the fire proved to be too much and Emsley dropped dead. While the Inn has been rebuilt, the ballroom and a few original rooms above the ballroom have been restored, as they were not burned completely in the fire. Staff have reported phone calls from Room 1007 (one of the restored rooms) to manager extensions, the front desk and even 911, but no one was ever on the other end. They say it could be Emsley trying to warn people of the fire because he doesn’t know everyone made it out. What once housed young children and juvenile delinquents, the Sunny Acres Children’s Facility in San Luis Obispo is more spooky than haunted. While some have said they’ve heard the laughter, running and voices of children, other’s claim the site is simply eerie and goosebump worthy. Anyone driving by the Oddfellows cemetery located at the corner of Higuera Street and Elks Lane has probably noticed the pyramid sitting atop the hill. Named Dorn’s Pyramid after Fred Adolphus Dorn, this pyramid was built to house the remains of Dorn’s wife and son. Dorn was a member of the Free Masons Society, which could explain the reason for the pyramid shape and the quotes and symbols that adorn the pavement on each side. You’ll notice there are stones lying at the foot of the pyramid. Some have said these stones will be put into place once the entire Dorn family is placed inside. 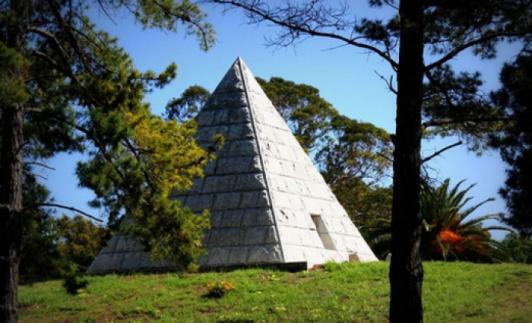 While the entirety of the pyramid is steeped in mystery, it also has been dubbed a “knocking grave.” If you visit the grave at exactly midnight on Halloween and knock 12 times on the door, you may hear a 13th knock from within the mausoleum. Want to get married at a, possibly haunted, Victorian home in Arroyo Grande? The Pitkin-Conrow house, once named the Crystal Rose Inn and Rose Victorian Inn, is said to be haunted by Alice, a nine-year-old girl who died from unknown circumstances. She has been seen in the tower room wearing pigtails, a dress and small apron. Alice was reportedly a cat lover, and many of the building&apos;s feline inhabitants have been found enjoying the very same room Alice has been seen in. It’s been said that Alice loves to play pranks on the guests and staff of the former inn, but hasn’t been seen or heard from since the sight was turned into a wedding and event venue. Most of the above listed buildings and sites are on private property and have specific hours of operation. We urge visitors to be respectful of those that lay rest at these sites and only visit during times when allowed. This blog post does not condone the vandalism or trespassing of any visitor to the above listed areas.